A class for beginners in baking. You'll learn proper measuring and mixing skills as well as the importance of ingredient selection. You'll be making and assembling your own cupcakes to take home. Calling all aspiring bakers: we've designed a class just for you! Grab a friend and join us as we learn basic techniques through a fun and relaxed hands-on experience. We'll be making carrot cake from an old family recipe, passed down since 1890. 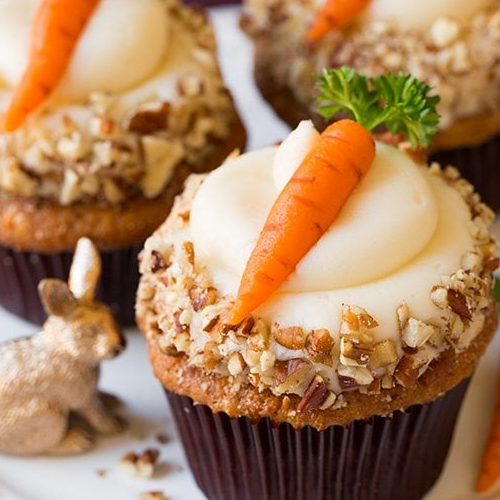 Since no carrot cake is complete without decadent cream cheese frosting, we're making that too! At the end, everyone will go home with cupcakes to share!